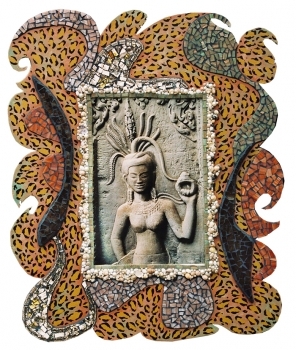 color photo in handmade mosaic frame 35" x 41"
My visit to the famous ruins in Angkor Wat, Cambodia was a treasure trove of magical visuals. 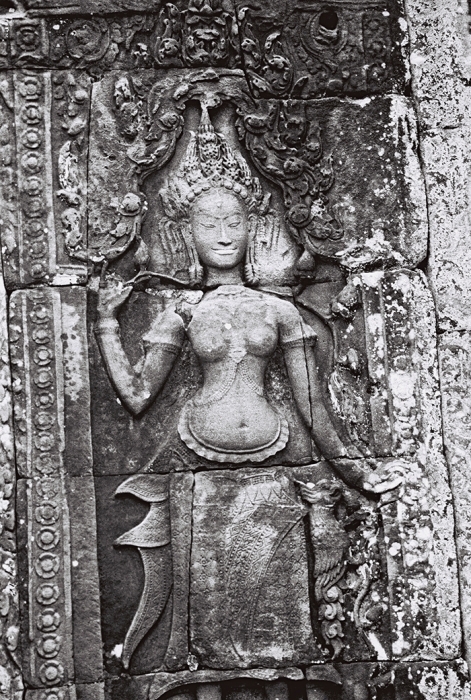 I loved photographing the fancy dancers or apsaras. 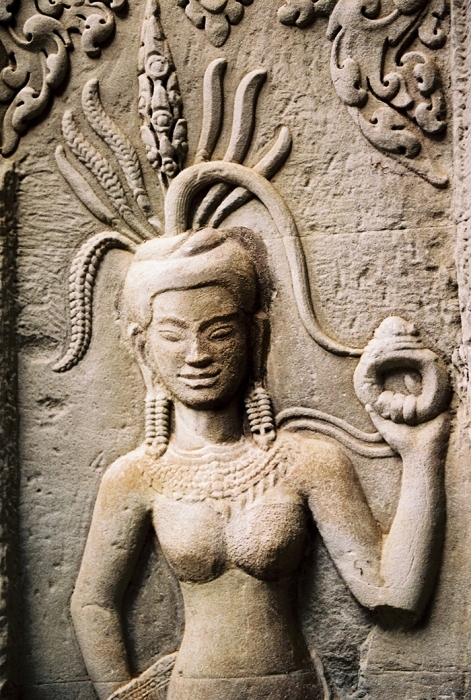 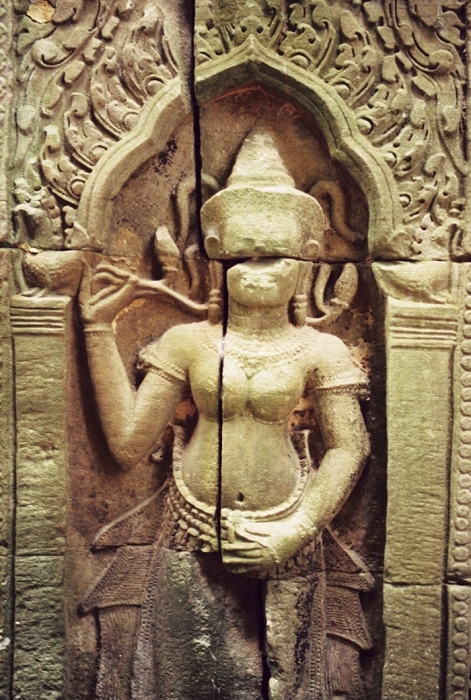 Bas-reliefs carved into the temple walls, now overgrown with vines and trees, were still magical dancing spirits. Leopard Apsaras with her glittery crown reflect the power of a once great empire.